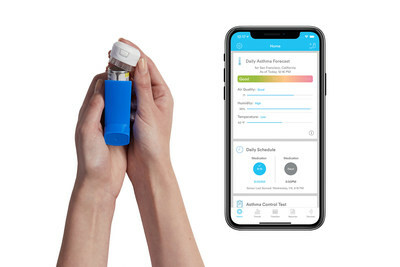 MADISON, Wis., Feb. 21, 2019 /PRNewswire/ -- The vast majority of people with asthma may be using their inhalers incorrectly, potentially making their medicine less effective and increasing their risk of asthma attacks, according to new research published in The Journal of Allergy and Clinical Immunology: In practice by digital therapeutics company Propeller Health, in partnership with the University of Colorado School of Medicine and Children's Hospital Colorado. Many asthma medicines require that patients take two "puffs" of their inhaler to receive the prescribed dose. Asthma guidelines and patient instructions for inhaled medications recommend that patients exhale completely prior to inhaling, inhale the medication slowly and deeply, hold their breath for up to 10 seconds and then wait prior to their next inhalation. These several steps should take between 30 and 60 seconds. These steps allow the medication to reach the appropriate parts of the respiratory tract and maximize effectiveness, helping patients to decrease symptoms, increase their level of asthma control and avoid hospitalization. Data from 7,558 patients, collected by Propeller Health's digital medicine, showed that the majority of patients (84%) took less than 30 seconds between the first and second puff of their rescue or controller inhaler. Further, 67% waited less than 15 seconds between inhalations. Only 16% of patients waited more than 30 seconds between puffs, the minimum amount of time necessary to complete the recommended steps. Previous research on inhaler technique was confined to a clinical setting, where a provider would ask a patient to demonstrate their technique for research purposes. Now, data from digital medicines can observe how patients use their inhalers in a real-life setting. Patients use the Propeller platform by attaching a sensor to their existing inhaler. The sensor tracks medication usage and location data and delivers insights to the patient via their phone or desktop portal. These insights include medication adherence reminders, air quality forecasts, symptom insights and tips to help them self-manage their disease. "Doctors have known for years that many patients do not follow the recommended inhaler instructions. This is the first time we've had objective data from digital medicines to observe it outside of the clinic," said David Stempel, MD, Propeller's SVP of Medical and Clinical Affairs. "Digital medicines have the potential to not only assess inhaler technique in real-time but also notify a patient when they're not using the inhaler properly and provide education and sources for training, which goes beyond what a clinician can do for the patient day-to-day." Of the patients studied, 4-11-year-old patients had the highest level of acceptable timing between inhaler use, while those 18-29 years had the lowest. 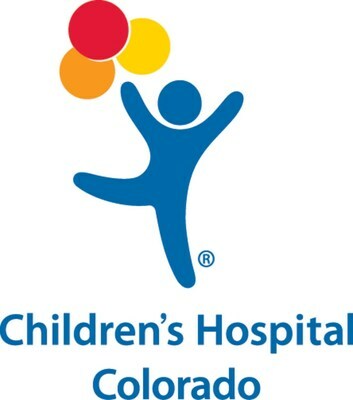 "We hope that with this data from digital medicines, patients and doctors will stimulate a renewed push to address known issues in inadequate inhaler technique, which we know can have a significant impact on how patients experience their disease," said Stanley Szefler, MD, Director of the Pediatric Asthma Research Program in the Breathing Institute of the Pediatric Pulmonary and Sleep Medicine Section at Children's Hospital Colorado. "We are entering an era where medicines can not only treat your disease, but new technology can help you optimize that treatment."